The Gourmet Goodness Kosher Fruit Basket is a gift of nature's finest treats! 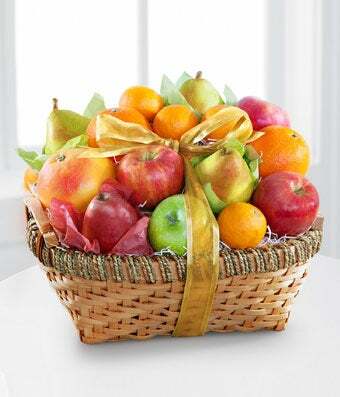 Arriving in a beautiful natural woven handled basket with a variety of fresh fruit from apples to pears and oranges.. This lovely collection of kosher fruits is a wonderful way to send your sweetest sentiments across the miles.